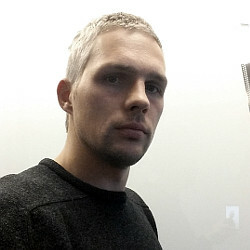 Video Search Tools Plus is the PUP that uses misleading techniques to prevent removal. Use Reimage to locate malicious components and get rid of them faster than with uninstall instructions. A full system scan blocks virus reappearance and prevents traffic to malicious domains. What is Video Search Tools Plus? How can Video Search Tools Plus hijack my computer? How to remove Video Search Tools Plus virus? Video Search Tools Plus by Keen Internet Technologies Ltd is a web browser extension that should not be trusted. Although its developers are trying to convince users that it may be using for improving web browsing sessions, in reality it is a browser hijacker and a potentially unwanted program (PUP) that can infiltrate computers without being noticed and corrupt Google Chrome’s settings without permission asked. Consequently, right after installing this tool, you may find dregol.com, istart123.com, Omiga-plus.com or any other questionable search provider set as a default start page, search provider, new tab window, and a startup page. Unfortunately, but such unauthorized modifications are not a good sign. Beware that such and similar browser hijackers are commonly sponsored by third parties that seek to boost traffic of suspicious websites or have intentions to spread other potentially unwanted programs. Therefore, you should not trust search results that this extension delivers because they may be full of sponsored links and advertisements. Besides, Video Search Tools Plus virus is not recommended keeping due to the usage of cookies. Security experts warn that it may place tracking cookies on all web browsers that are installed on your PC’s system (Google Chrome, Mozilla Firefox, Internet Explorer) and start collecting information, such as: PC’s IP address, location, email address, search terms, websites visited, clicks, etc. Although none of the listed data is not considered as personal, its disclosure to third parties is not recommended since it may be used for initiating dirty performances. Therefore, if you have the slightest suspect that your web browser has been affected, remove Video Search Tools Plus virus from your PC’s system until it starts causing redirects, slowdowns, ads, and similar inconveniences. For this purpose, you may rely on Reimage or another powerful anti-malware. 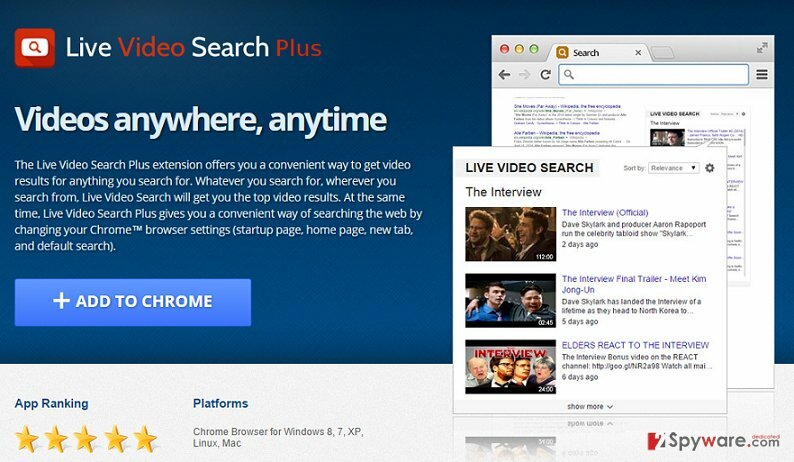 Video Search Tools Plus is promoted on the official website. However, it’s possible that you may find this browser extension installed on Google Chrome without downloading it on your PC. If you do not remember installing it, then it’s most likely that Video Search Tools Plus virus has sneaked onto your computer along with another freeware/shareware. Therefore, keeping in mind how risky it may be to install a freeware, you should treat freeware’s installation more seriously. It’s not enough to check Quick/Basic installation settings because third parties usually do not disclose ‘optional downloads’ under those settings. That’s why in order to get acquainted with the apps that your selected freeware is filled with, you should opt for Advanced or Custom installation option and carefully read all the provided information. Finally, opt out of the check boxes saying that you agree to install Video Search Tools Plus or another browser add-on, plug-in toolbar or extension. Otherwise, all potentially unwanted programs will be installed by default. Video Search Tools Plus removal guide is given down below. It’s up to you which method (manual or automatic) installation method to use because they are both effective. Nevertheless, full system check with a reliable anti-malware is recommended in order to find and remove all PUPs or malicious apps. Here, look for Video Search Tools Plus or any other recently installed suspicious programs. Wait until you see Applications folder and look for Video Search Tools Plus or any other suspicious programs on it. Now right click on every of such entries and select Move to Trash. When in the new window, check Delete personal settings and select Reset again to complete Video Search Tools Plus removal. Once these steps are finished, Video Search Tools Plus should be removed from your Microsoft Edge browser. Here, select Video Search Tools Plus and other questionable plugins. Click Remove to delete these entries. Now you will see Reset Firefox to its default state message with Reset Firefox button. Click this button for several times and complete Video Search Tools Plus removal. Here, select Video Search Tools Plus and other malicious plugins and select trash icon to delete these entries. Click Reset to confirm this action and complete Video Search Tools Plus removal. Here, select Extensions and look for Video Search Tools Plus or other suspicious entries. Click on the Uninstall button to get rid each of them. Here, look at the Homepage field. If it was altered by Video Search Tools Plus, remove unwanted link and enter the one that you want to use for your searches. Remember to include the "http://" before typing in the address of the page. Now you will see a detailed dialog window filled with reset options. All of those options are usually checked, but you can specify which of them you want to reset. Click the Reset button to complete Video Search Tools Plus removal process. This entry was posted on 2015-09-25 at 05:44 and is filed under Stealing programs, Viruses. You can quickly scan the QR code with your mobile device and have Video Search Tools Plus manual removal instructions right in your pocket. How did you remove Video Search Tools Plus?